From mouth-watering slices of pizza, to homemade comfort food, Oak Ridge is home to several award-winning restaurants. Whether you’re in the mood for pasta, chicken wings, BBQ or ice cream, you’ll be able to find something that’s sure to satisfy your taste buds. Here are the top 5 local Oak Ridge Restaurants you have to try when you visit. Dean’s Restaurant & Bakery offers soulful, southern food that will make your mouth water. The menu is filled with simple, fresh and sustainable options. And let’s not forget delicious. 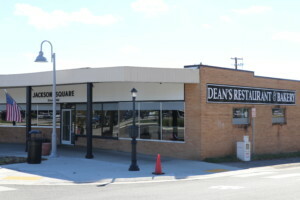 If you’re in the mood for the best pot roast you’ve ever had, or some tasty pork loin, stop by Dean’s. The restaurant also offers a number of gluten-free options. To satisfy your sweet tooth, order a slice of chocolate meringue pie or a piece of red velvet cake from the bakery. If you want dinner with a view, head to Calhoun’s. Calhoun’s has several locations in Knoxville and East Tennessee, but Oak Ridge is the newest destination. It’s located along the banks of Melton Hill Lake and has a covered outdoor patio for dining, along with seating around a firepit. Dig into the restaurant’s famous bar-b-que ribs or have a fresh garden salad with Calhoun’s special homemade dressing. For the best classic American diner around, visit Jefferson Fountain – one of the town’s best-kept secrets. Jefferson Fountain is the perfect breakfast and lunch spot, serving everything from pancakes and omelettes to the popular Myrtle burger, a 6-ounce hand-formed patty with lettuce, tomato, pickles, mayo, ketchup and cheese on a fresh bun. Jefferson Fountain’s famous burgers are handmade each day and made to order for an always fresh, always delicious meal. 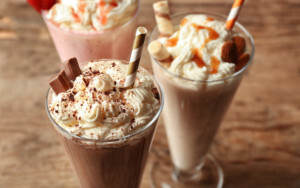 The restaurant is also popular for their old-fashioned malts and milkshakes, as well as their hand-dipped ice cream cones. If you have a sweet tooth, you’ll love stopping at Jefferson Fountain for a bite to eat! The Soup Kitchen is the best place to stop when you’re in the mood for a warm, delicious meal. With flavorful soups, homemade bread and deli sandwiches, there’s something for everyone at this tasty spot! Try a hot bowl of homemade chicken noodle or some made-from-scratch cornbread. The Soup Kitchen is the perfect cure to a cold winter’s day, or when you’re just missing your mother’s cooking back home. Be sure to try a made-from-scratch chocolate chip cookie for dessert! 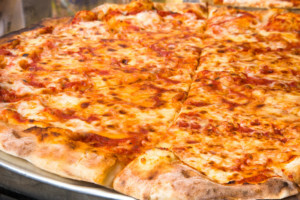 Everyone loves pizza, but have you ever had Big Ed’s Pizza? With its New York-style pizza, this restaurant is a favorite among locals. Both the dough and the sauce is made fresh in the restaurant using Big Ed’s original recipe. All that’s on the menu is pizza and beverages, including beer, because what else would you need? Order Big Ed’s Special pizza with ham, sausage, mushroom, onion and green pepper or build your own from a variety of ingredients! Eat the best pizza in town, and take home a Big Ed’s Pizza t-shirt as a souvenir from your dining experience. There are so many great local restaurants to choose from when you visit Oak Ridge. Browse all the delicious restaurants in Oak Ridge TN to find the best spot in town to satisfy your hunger.